Upon arrival at Phi Phi Long Beach Resort & Villa guests are instantly made to feel at home by our team of friendly staff. The open and breezy lobby is a great place to lounge and relax with stylish seating and spectacular tropical vistas. 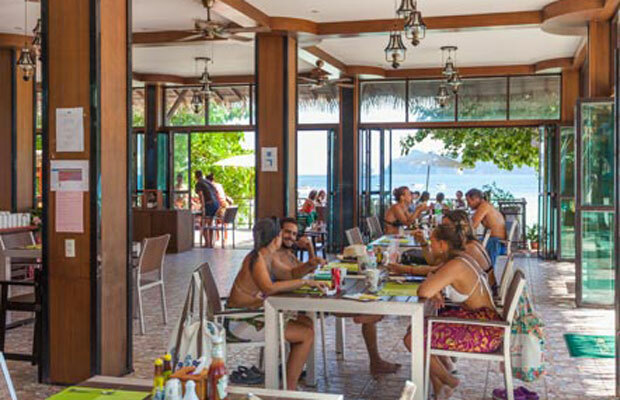 The swimming pool is lined with sun beds for lounging under the sun, and we have a delicious international and local cuisine at the restaurant. Your Long Beach experience is not complete without trying our massage service just steps from the beach. The location of this beachfront restaurant is amazing, with open sides, the breeze flows through and the Andaman Sea is in full view. The spacious terrace allows you to dine right above the beach. Buffet breakfast is served in the morning, followed by a wide choice of a la carte dishes for lunch and dinner including Thai cuisine, pizzas, BBQ and European food. 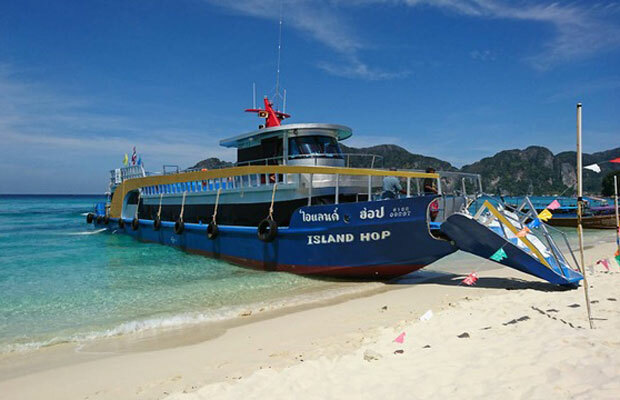 Hop-on Hop-off Boat operated at Phi Phi Island, convenient for sightseeing or access to popular beaches on Phi Phi Island.